“Her Ambassadors” are a select group of passionate people who have committed to be advocates and activators for our organization. They work closely with our organization to develop their own fundraising initiatives, to sell Unako products, or to raise awareness for our cause. 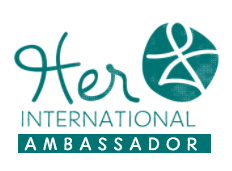 Ambassadors are featured on our website and awarded “Her Ambassador” badges for their websites and business cards. Raise awareness: Commit to sharing 3 social media posts per month. Raise funds: There are many ways to do this! You can host a scarf and jewellry sale, run a peer-to-peer campaign for a birthday or special day (see campaigns below), sell $100 bricks to go up on the wall of our community centre in Nepal, etc. The possibilities are endless and we will help you brainstorm the right fundraising campaign for you! 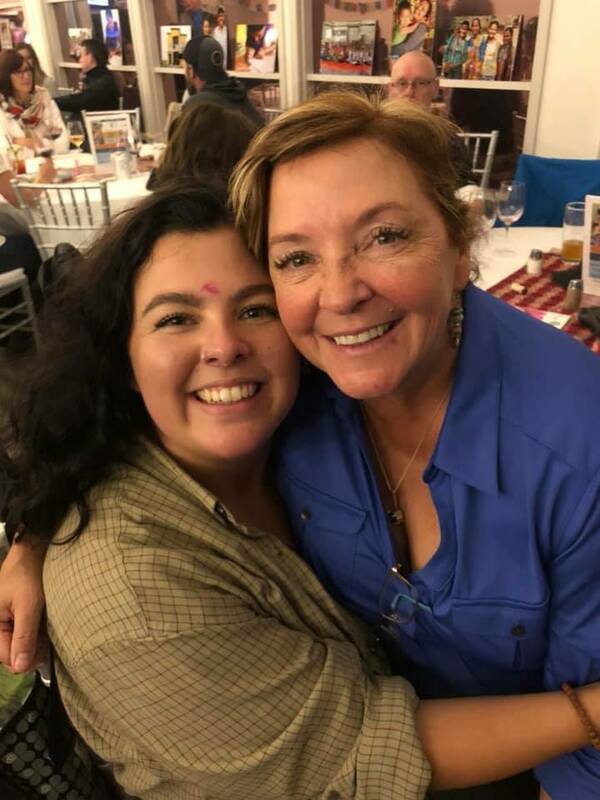 “Her Volunteers” are fierce supporters who want to make a difference - empowering women and girls around the world - through volunteering their time and talents. This can be done online through writing, photography, videography, or in person at local events. Some volunteer regularly, some just every so often when their schedule allows. We are flexible and excited to work with you to find an interesting and fulfilling way for you to contribute to Her International's cause. Donate a portion of your profits for a day to Her International. Ex. A yoga instructor held a special class with the funds going to Her International. Legal firms have donated/discounted their services to help us prepare event and project contracts. A self-defense teacher donated her time to run a local training session for women in need. Interested in sharing your time, skills and passion? Please email: volunteer@herinternational.org! Below are a few examples of campaigns our ambassadors have run on our behalf. Colleen Chapman will be accompanying the 2018 classroom build this November and has a passion for helping women. She will be fundraising for our Mother’s Groups which assist women with savings, starting business and teaches them life skills. Her company has agreed to match donations up to $10,000 for this! Please help her reach her goal. We are beyond grateful. The Edgecombe’s do it again! They hosted a brilliant golf tournament with many amazing sponsors that raised $21,000 for marginalized girls. Wee couldn’t be more grateful for all of you that came out to support us, even in the pouring rain! Hugh Culver "I Give a Dang"
For his 60th birthday, Hugh set off on a mission to raise $15,000 to build two classrooms in Dang, Nepal, where we work. He raised $30,000 and we are thrilled that his family and him will be there in November to see the classrooms go up under the name “Eleanor House” after his mother. The #LakeDipChallenge was started by fundraiser Kendra McFarland to empower all people to push past their limits, to do something extraordinary, and to gather for a good cause.